Home » Service Manual Catalog » Epson » DX4400_SM_AP I have paid for Reset Key but not received yet. 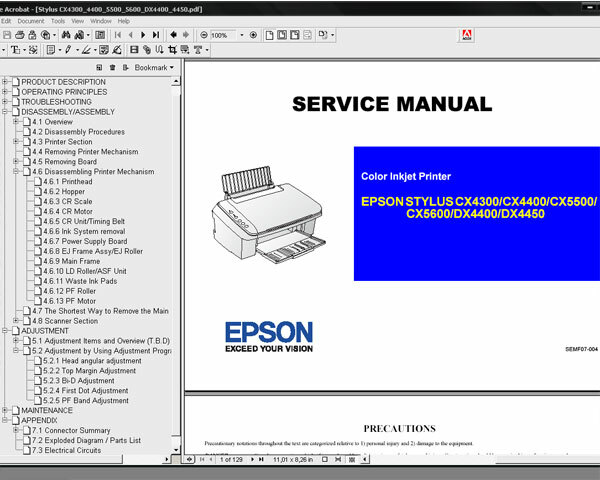 Epson DX4400 Adjustment Program + Service Manual and Parts List - SAVE $5! Epson DX4400, DX4450 , CX4300, CX4400, CX5500, CX5600 Service Manual and Parts List + DX4400, CX5600 Adjustment Program - two in one. Notify me of updates to Epson DX4400 Adjustment Program + Service Manual and Parts List - SAVE $5!